Anybody who closely follows the Marvel Cinematic Universe surely is familiar with Agent Philip Coulson, and his fancy car Lola. "Don't touch Lola." 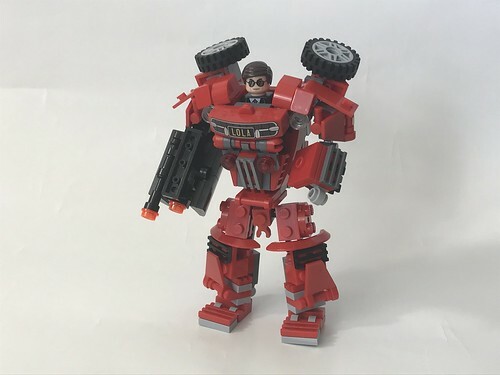 PsychoBrick took Coulson's flying car to a whole new level by designing this mech version of the corvette. Seriously, how cool is this model? 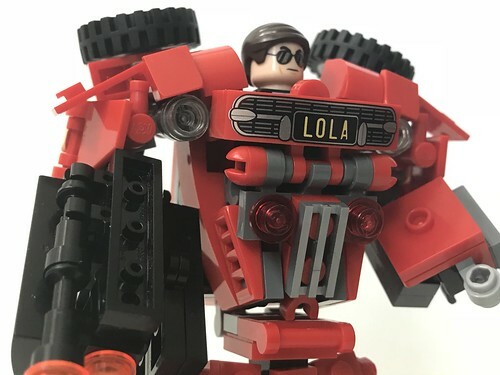 The inclusion of the printed Lola element fits perfectly into the abdomen section, which I think is really designed well. Overall a very cool and creative model! LEGO, Marvel, Lola, Agent Coulson, S.H.I.E.L.D.